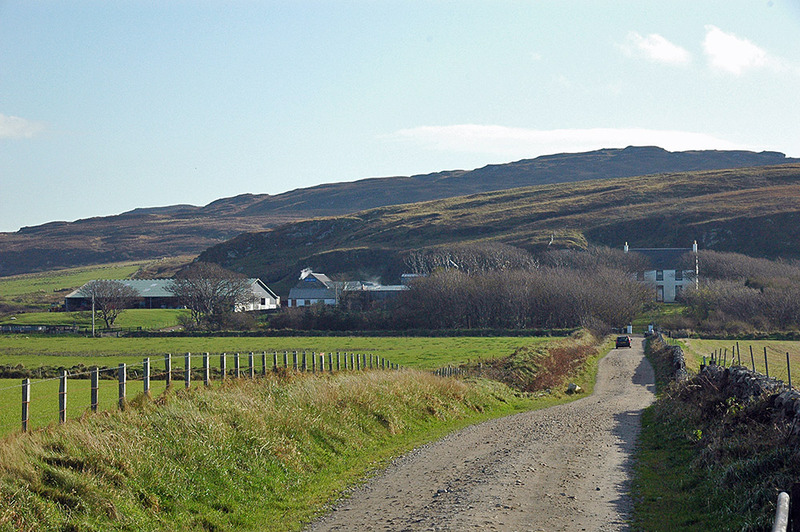 A view from a sunny day on Islay on October 2000, taken from the track to Rockside farm. The farm mainly on the left and right with Kilchoman distillery in the middle. This entry was posted in Distilleries, Landscape, New Post, Sunny Weather and tagged Islay, Kilchoman distillery, Rockside Farm by Armin Grewe. Bookmark the permalink.